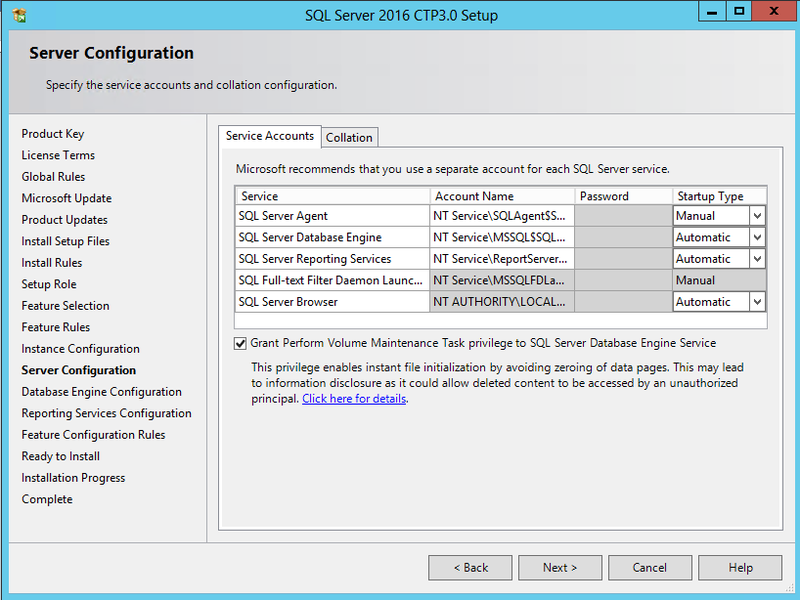 There are some improvements in the setup UI for SQL Server 2016 CTP3, and its great to see Microsoft making these changes as they receive feedback from multiple customers and early adopters. 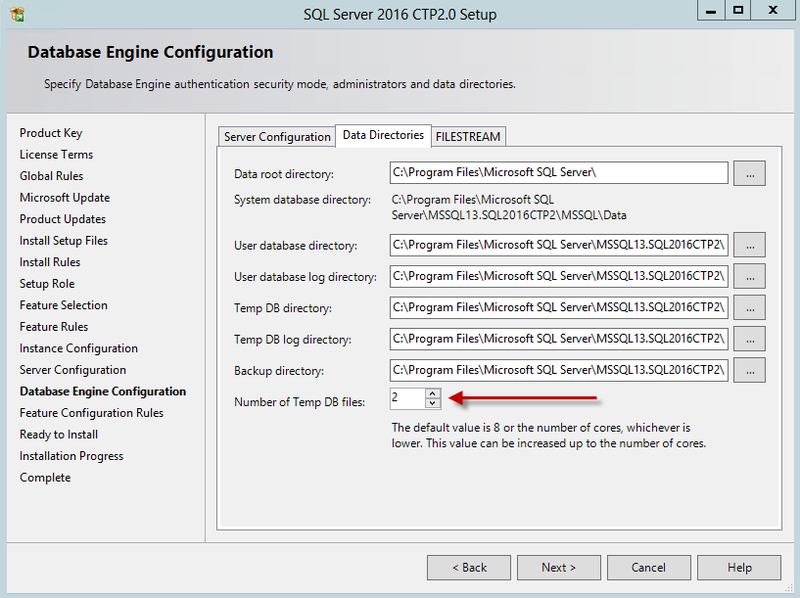 My earlier post on setup UI changes for CTP 2 is available here. 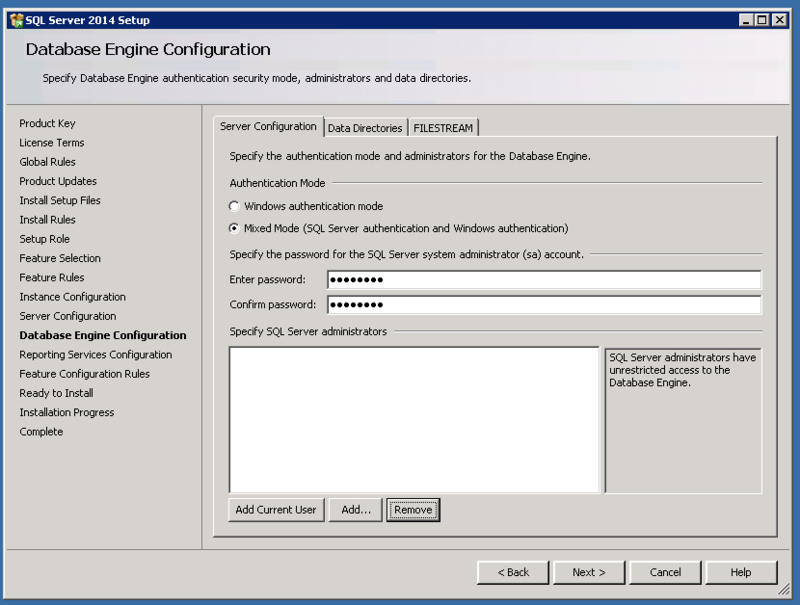 The 1st change is around granting the SQL Engine Service account necessary privileges to enable INF(Instant File Initialization) during the setup itself. You can notice the check box for Grant Perform Volume Maintenance Task privilege. There is an interesting post by Nic Cain(B/T) on this topic and you can read it here. 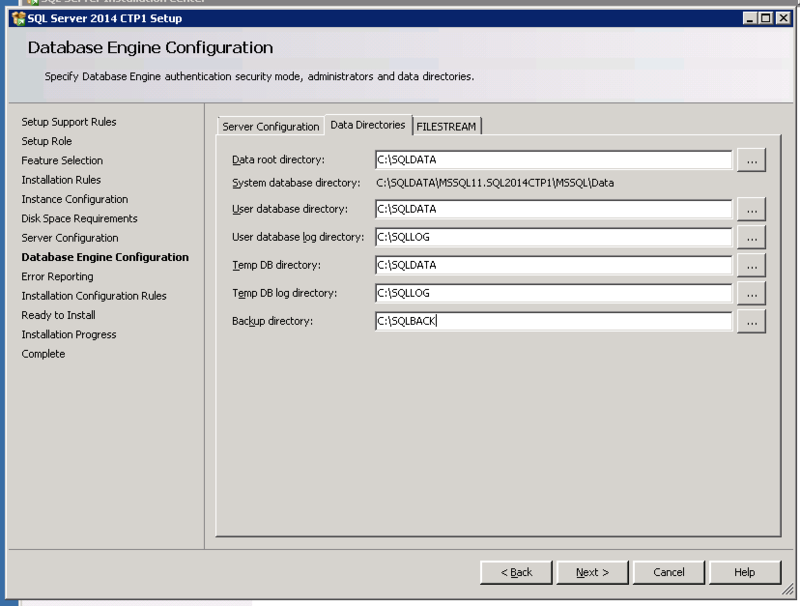 The wizard will now check the no of cores on the server and will come with a pre-populated value for the no of temp db data files. It also provides options to define the initial size and the auto growth size. 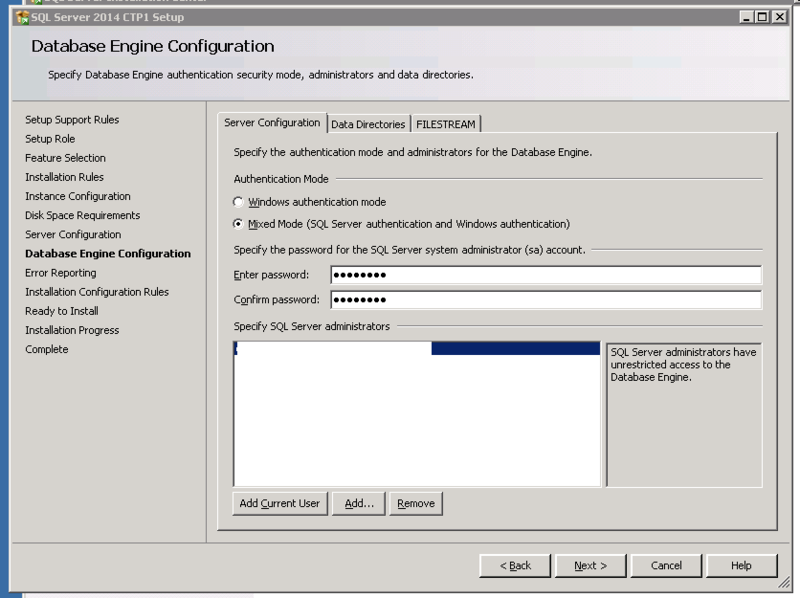 This might not be something which the power users care,(When I said power users,I meant people who automate lot of SQL server deployments and are already doing this with custom scripts) however this is really a value add for people who do manual SQL installation. 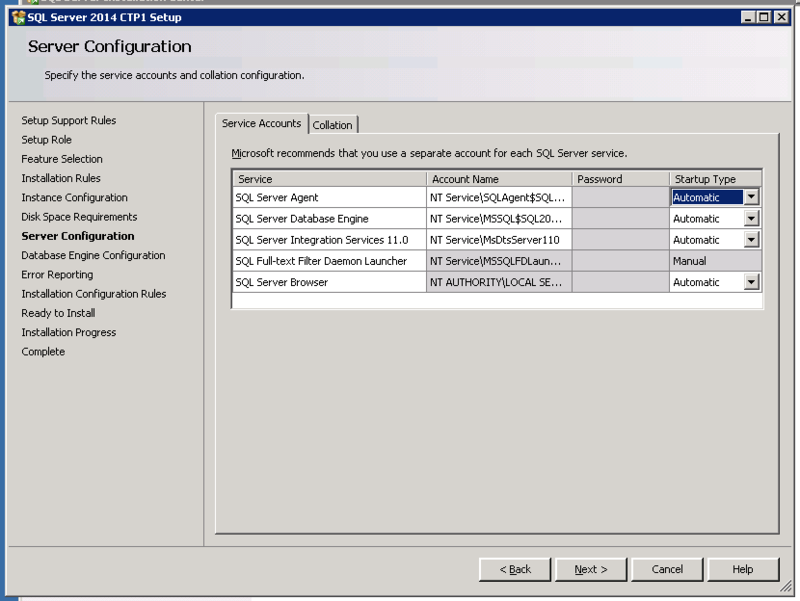 Going forward we also don’t need to turn on Trace Flags 1117 and 1118 as they are taken care by default. I’m really glad that Microsoft is giving options for users to follow some of the long-standing best practices during the install process itself and this is a welcoming change. 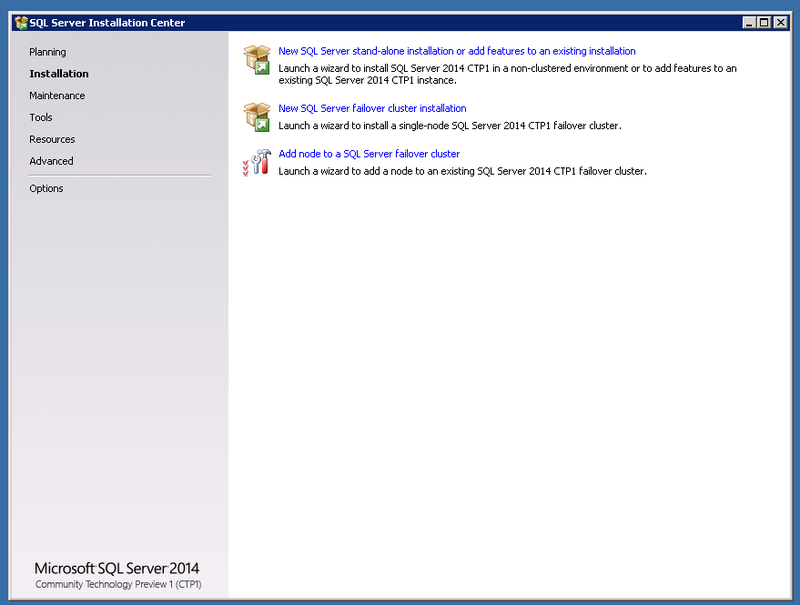 One error which you don’t want to see while doing upgrades – Missing MSI ! 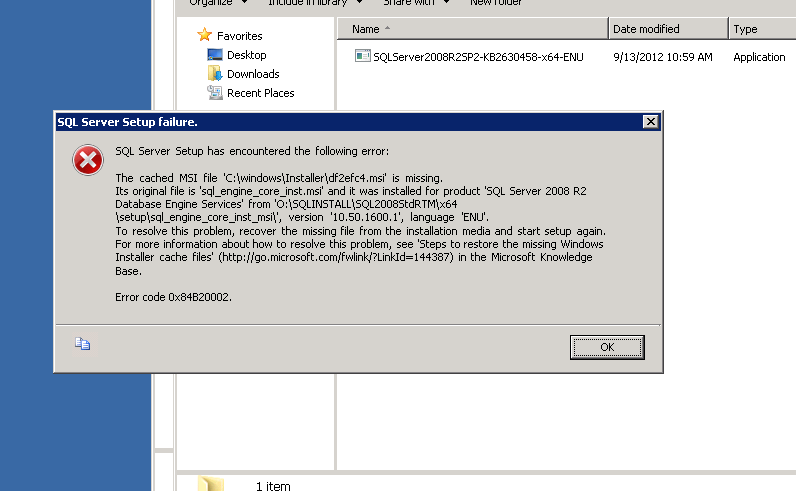 If you are hit with this error then there is definitely good amount of help out there, but the amount of time it takes to fix the error can vary from case to case. 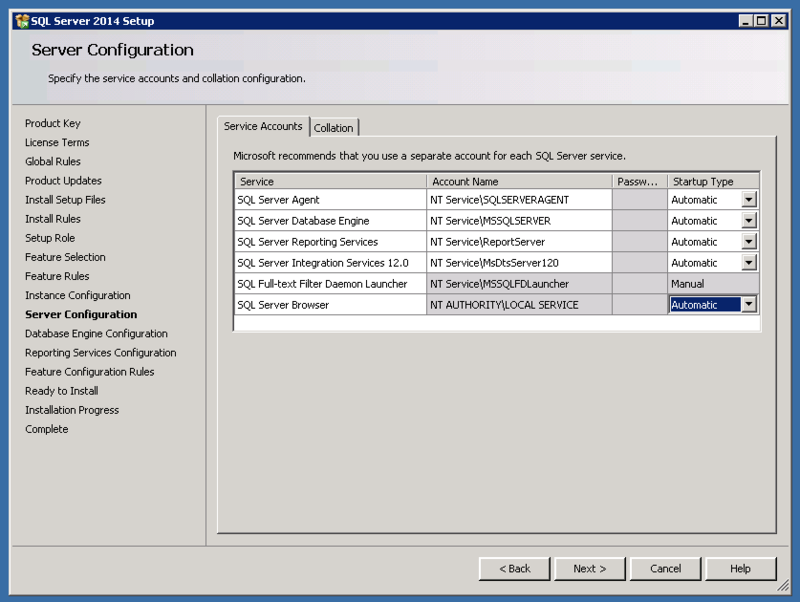 There is a good amount of chance that there are multiple MSIs which are missing, and you will need to take action to replace the missing MSIs before trying to re-run the SP/CU setup again. So why this error comes up ? The short answer to this question is that the Windows Installer Cache(Under C:\Windows\Installer) on your server is compromised. 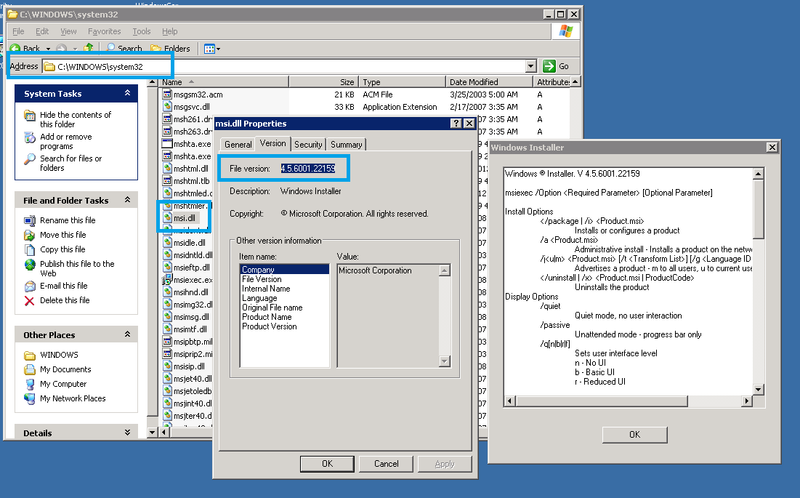 This folder is used to cache important setup files, and these files are needed during situations like patch upgrades or even for uninstalls. 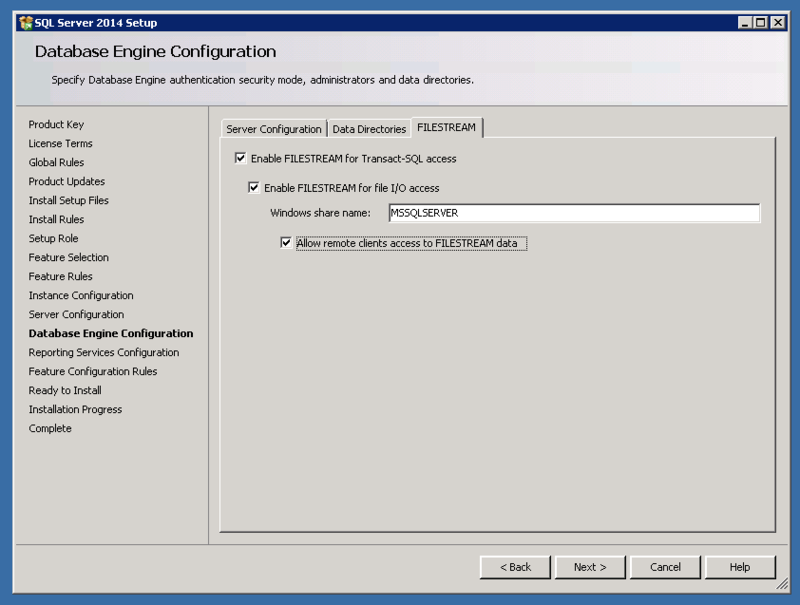 If this cache is compromised, then you will definitely need to work with your windows admins to understand why it was compromised. As mentioned earlier there is a good amount of chance that multiple MSIs are missing, and replacing them is time consuming. 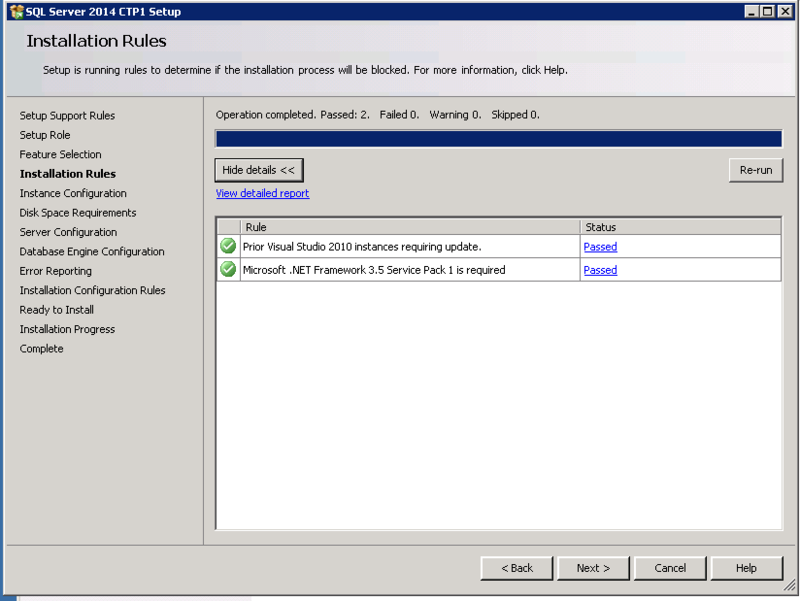 Microsoft has a great KB article http://support.microsoft.com/kb/969052 which will explain the entire process of taking corrective actions to fix this problem, and there is a smart VB script which will tell you the details of files which are missing and it will provide you commands to take corrective action. I would definitely encourage you to read this article once. This created a txt file,and that file is your best bet for fixing the missing MSI errors. 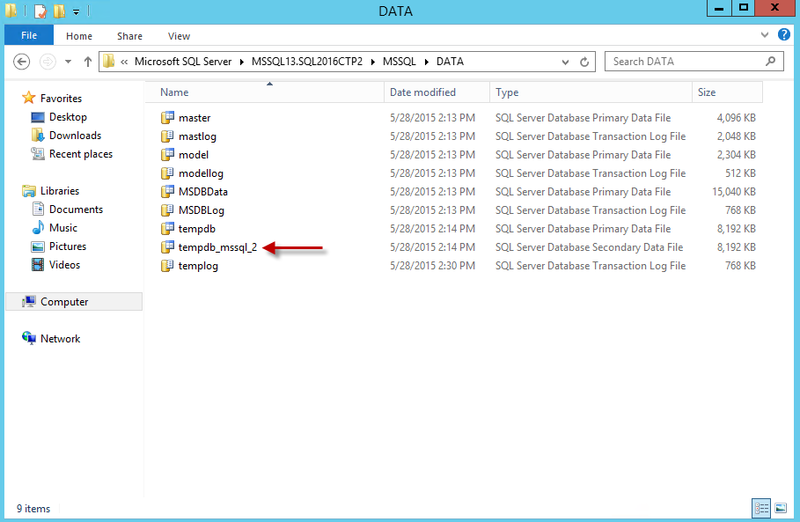 I ran the command(As Admin) and it copied the files to the cached folder. I scrolled down the txt file to understand that there are multiple MSI files which are missing,and I had to run the copy command multiple times(I counted till 15 !). 4. Once I completed running all the copy commands which were available in the txt file, I ran SP setup again and it was successful this time. 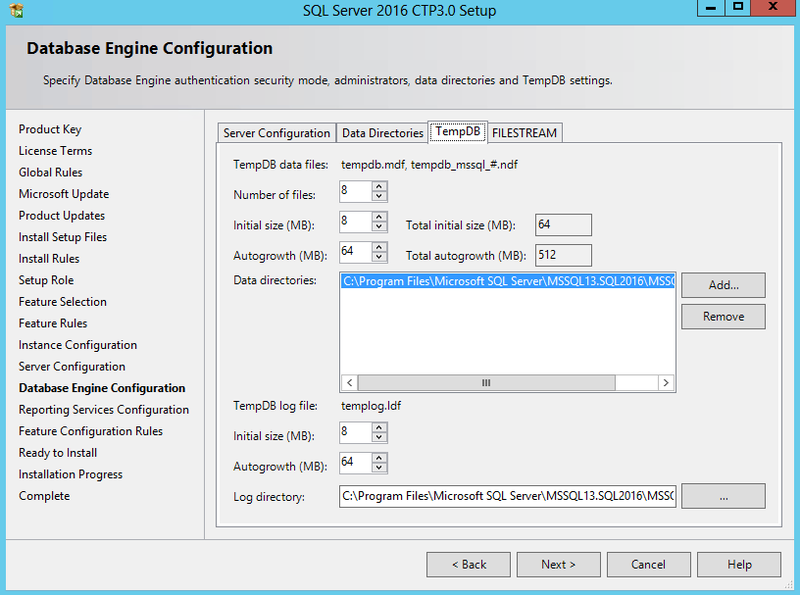 If you have a real tight change window and you don’t want to deal with these errors, then I would recommend running the VB script in advance for your server and see if its reporting any missing MSI for your SQL Server. 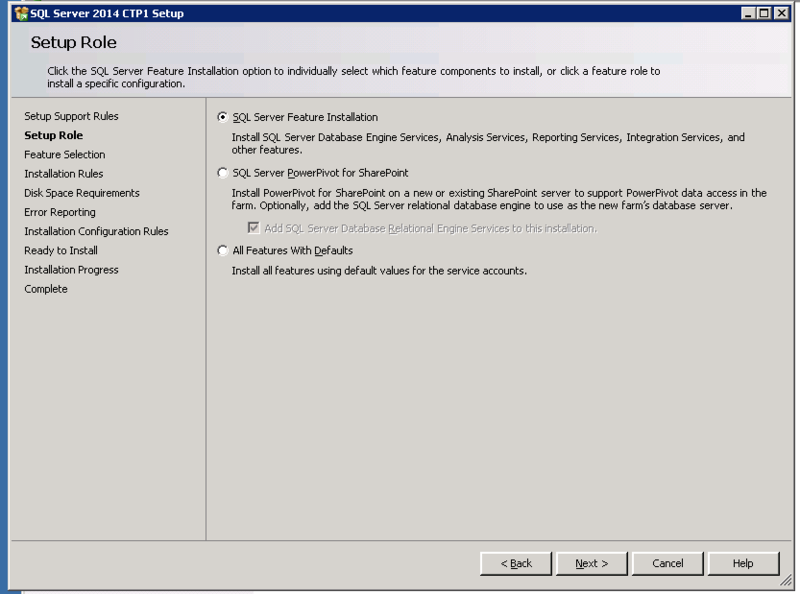 If there are errors, then you can fix this in advance and ensure that the upgrade will go smooth. If there are no errors after running the VBscript, then there is a level of confidence that you will not hit the missing msi errors for sure. Great news !!! 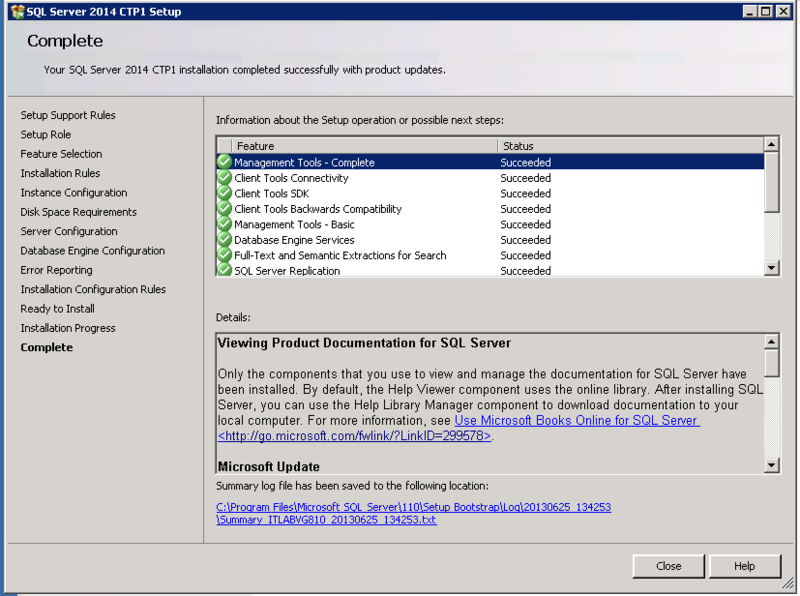 SQL Server 2014 CTP1 is out and the wait is over. 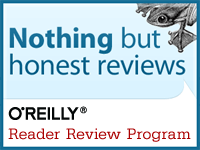 Drop everything(Except the databases !) and download your fresh copy from here. Here is the official announcement with some high level details. In this post we will do a quick step by step walk through of the whole install process and see if there are any changes from the prior installs. 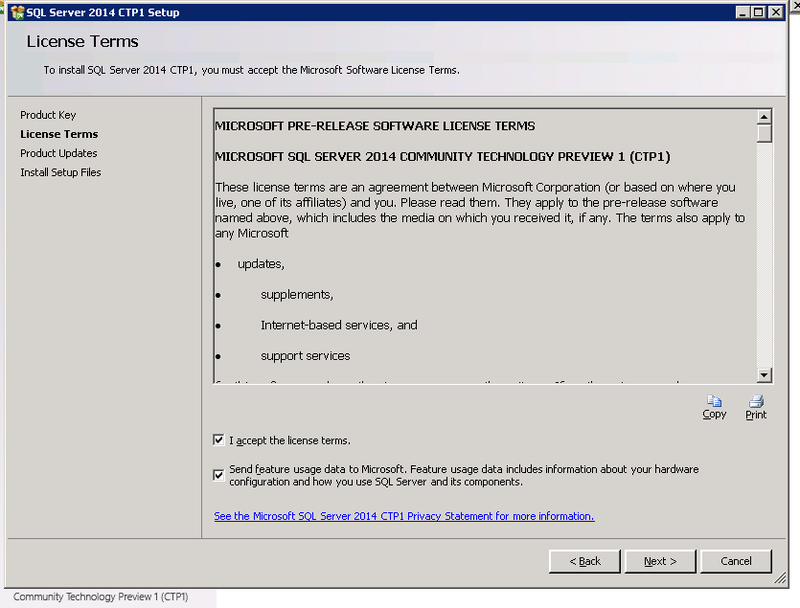 Microsoft SQL Server 2014 CTP1 is pre-release software and should be installed only on a clean machine. 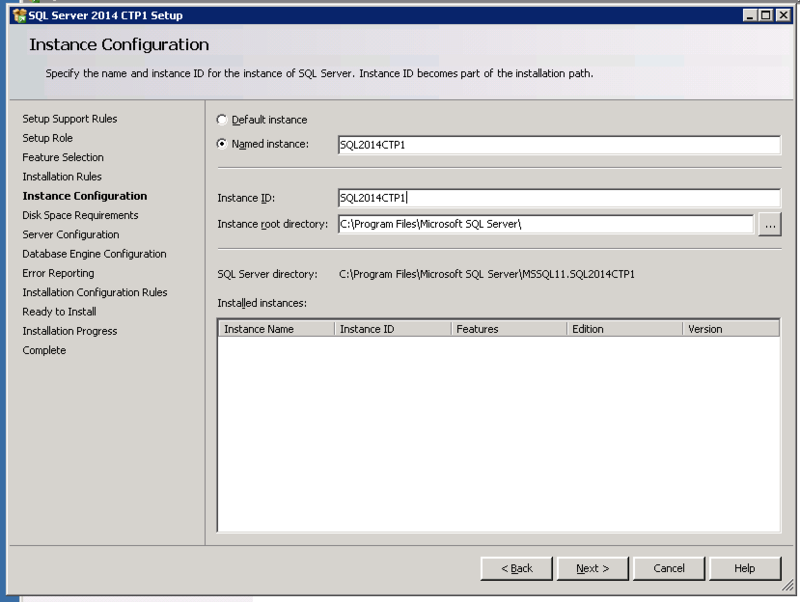 It does not support upgrade from or side-by-side installations with any previous version of SQL Server, including SQL Server 2012. We will run the setup.exe to get the regular install screen. 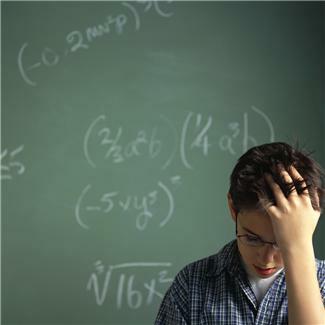 The wizard will now do some real checks and will provide you with a list of details which are either passed or failed. 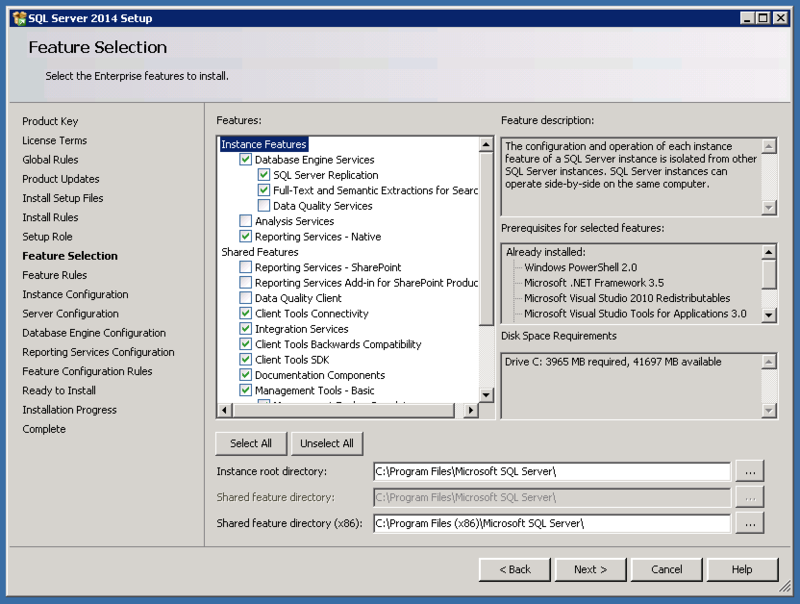 We will proceed with Feature install selection once the check phase is completed. 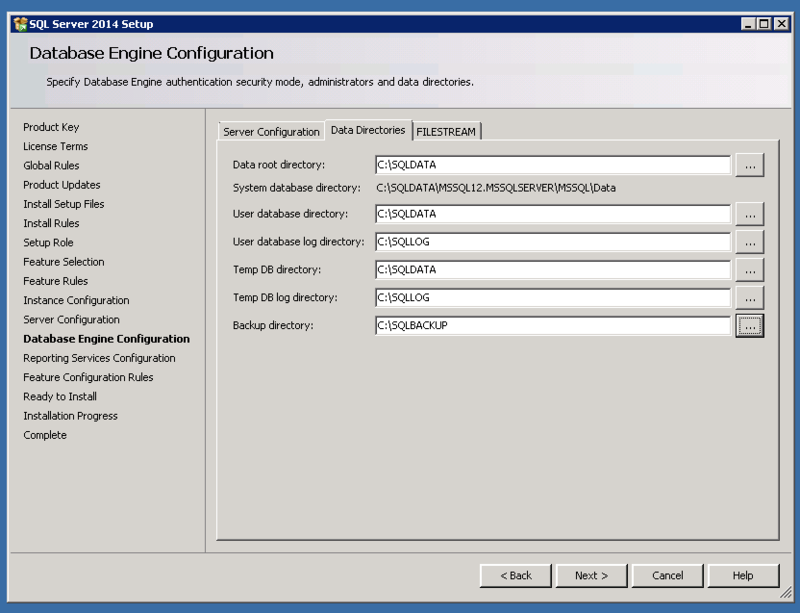 In this step we will do the Instance configuration,Server configuration and the Database Engine configuration. 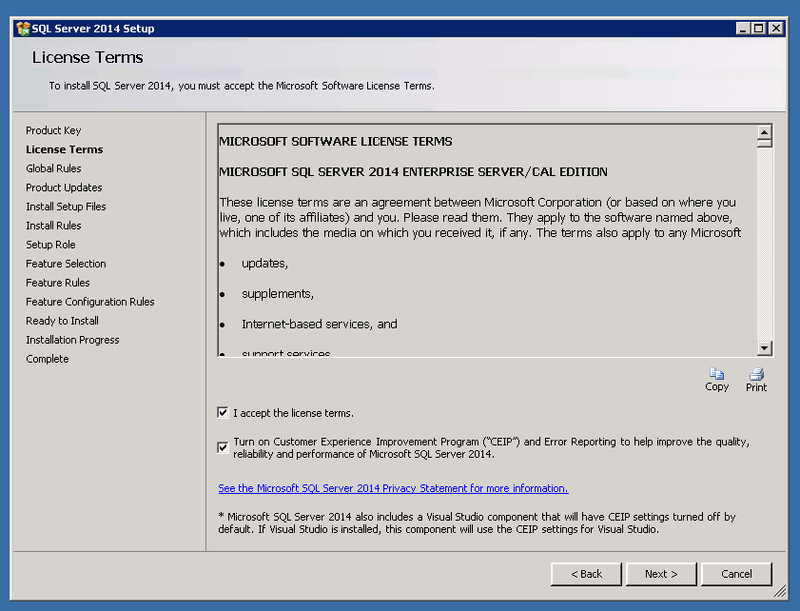 Thats it and SQL Server 2014 CTP1 is all yours. 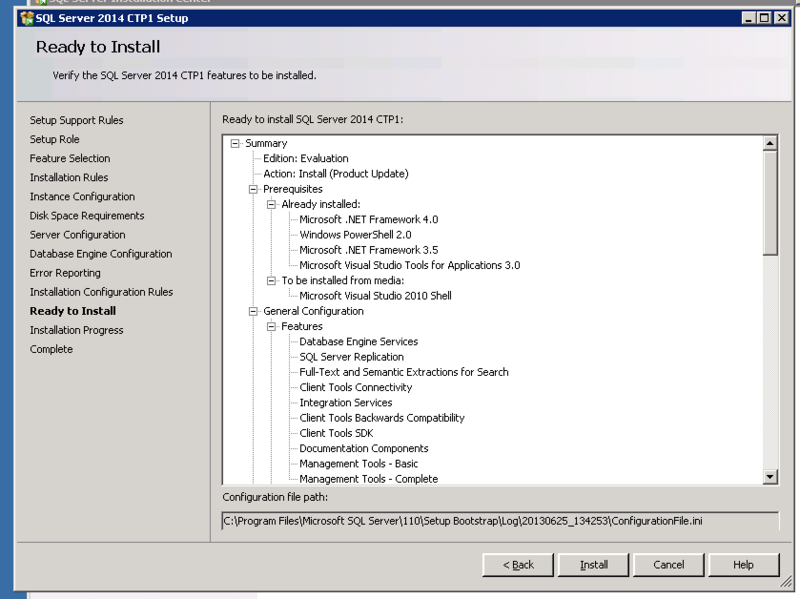 SQL Server 2014 installation wizard doesn’t have any major changes,and everything looks just same as the earlier version. 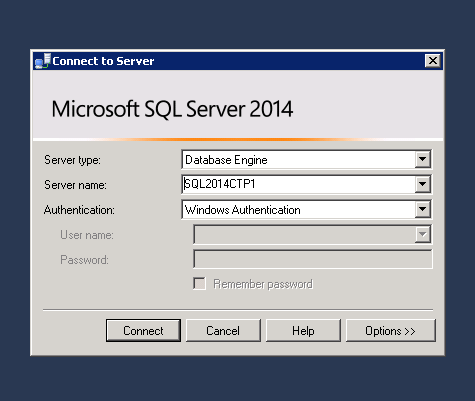 Thanks for reading and keep watching this space for some real fun with SQL2014. 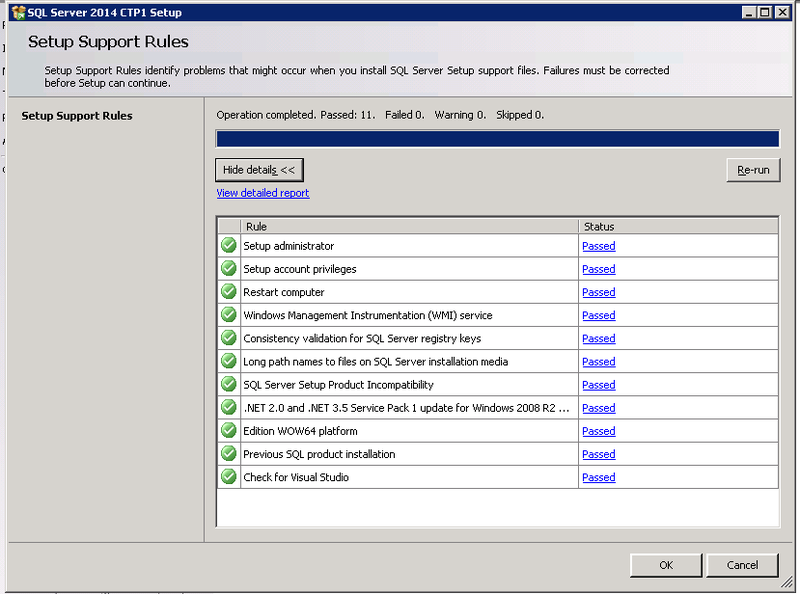 Check the version of Windows Installer ! 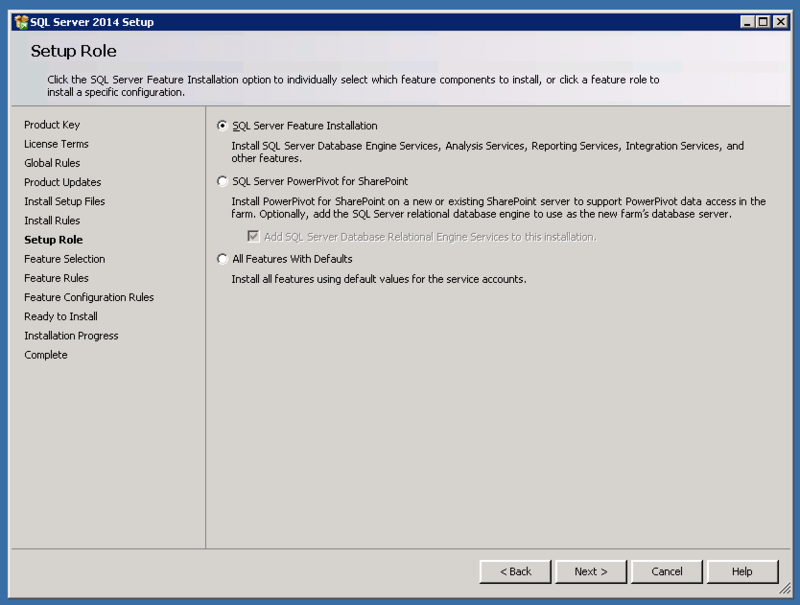 This post is a quick tip to find the version of Windows Installer installed on your box. 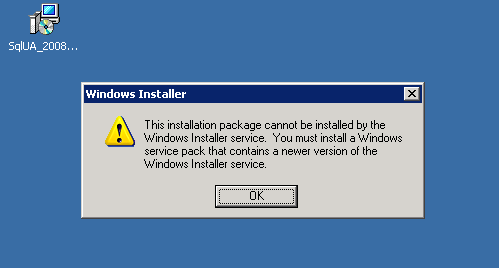 The error message was pointing that the server might be running an old version of windows installer. 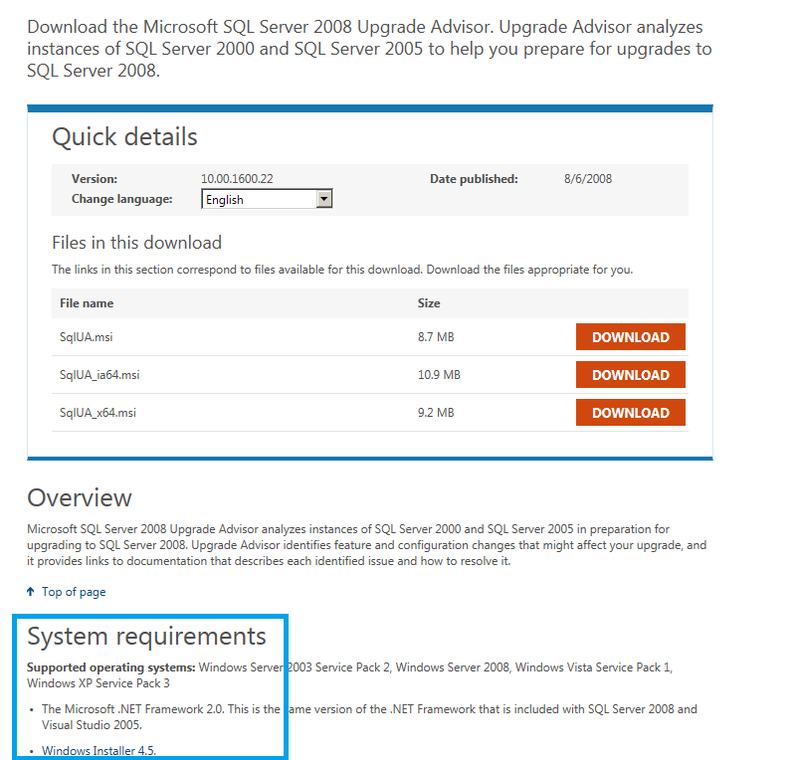 I decided to check what was the basic system requirements to install SQLServer 2008 Upgrade Advisor. Oh btw, that check should have been done earlier, but you know these things happen sometimes ! [With a promise not to repeat it later on]. 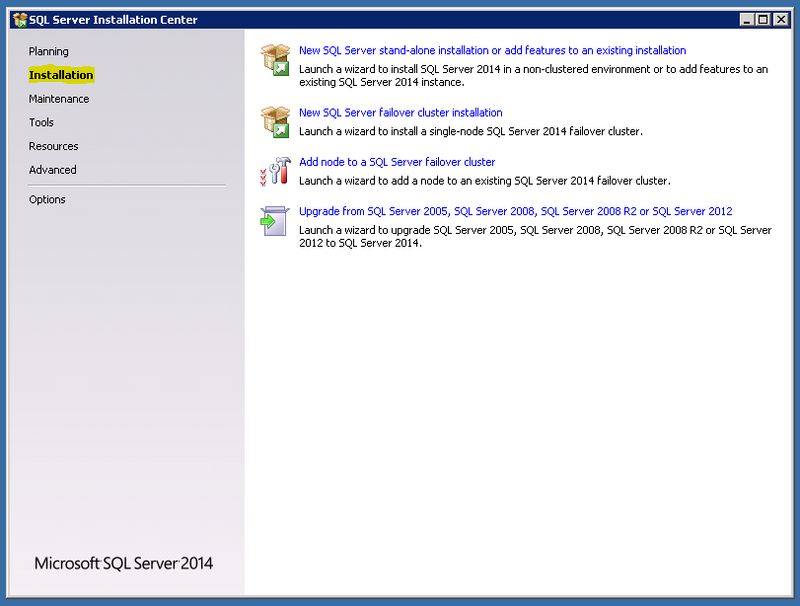 SQLServer 2008 Upgrade Advisor needs Windows Installer 4.5 to work and that’s clearly mentioned in the download page. 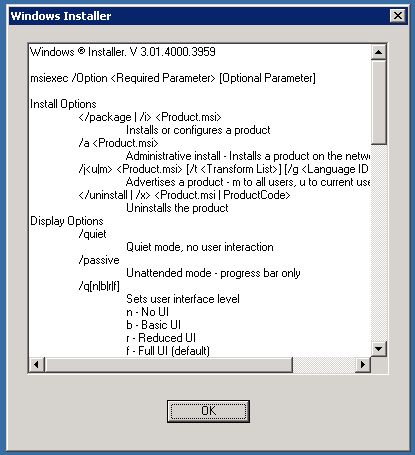 Now I was curious to see what is the version of windows installer which is currently running. How do I do that? I haven’t bothered to check that in the past too. After doing some random search I finally got a simple answer to my question, thanks to http://stackoverflow.com/. This quickly tells you about the version. I did little more checks to find that there is yet another way to check the version details and that’s by directly checking the .DLL files. 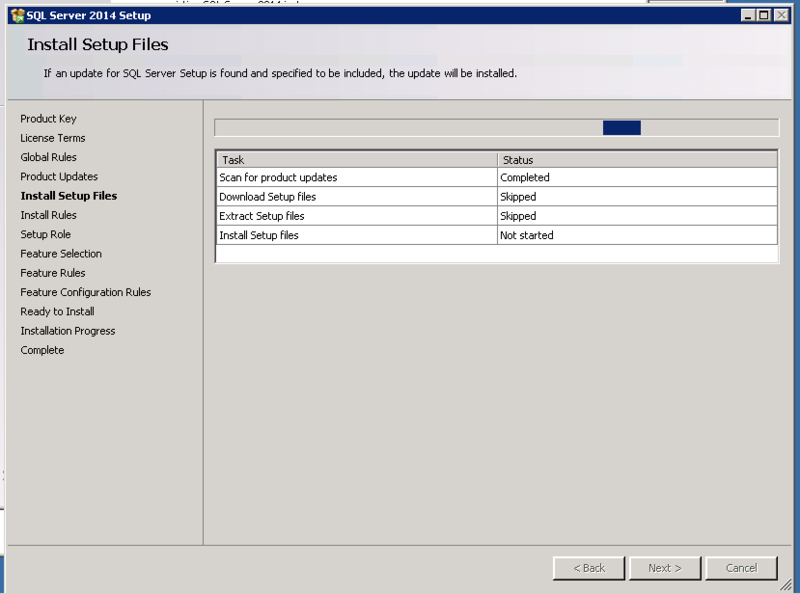 Note – System files should never be modified, moved or deleted. 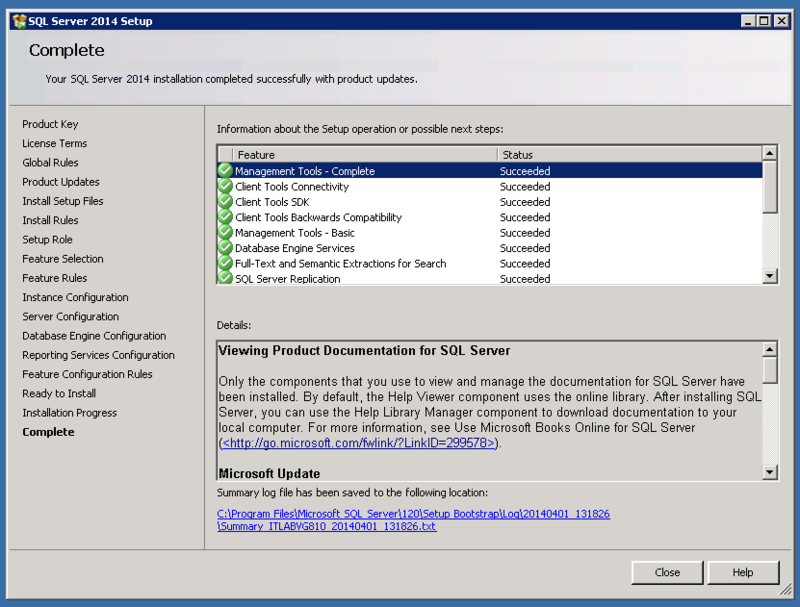 The above picture shows the details of Windows Installer version once it was updated to 4.5 which was the basic requirement for SQLServer 2008 Upgrade Advisor. 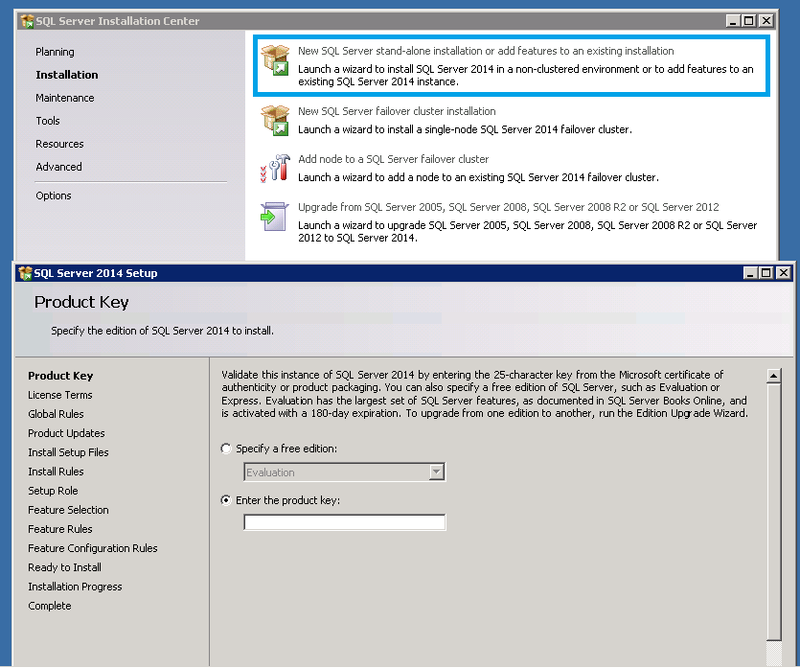 I know you are now thinking of Windows Installer 5.0,here is that information for you. 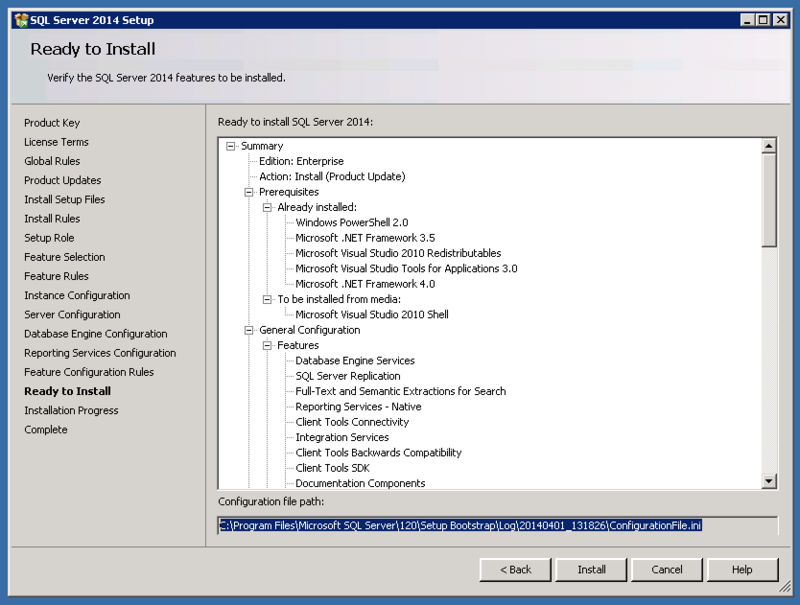 SQL Server 2012 Upgrade Advisor also needs Windows Installer 4.5. Thanks for reading and watch this space for more. 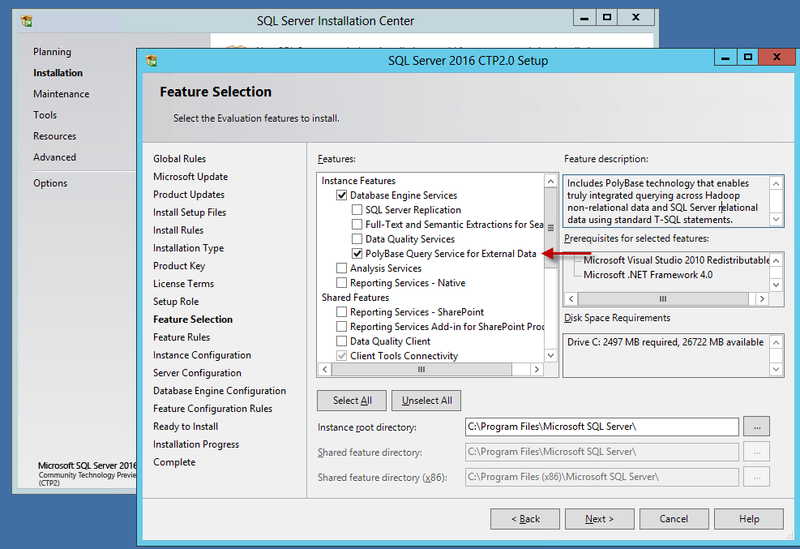 For a fresh install if you are considering the latest SQLServer 2008 R2 SP2 for SCCM 2012,then you need to understand the fact that SP2 includes hot fixes provided in SQL Server 2008 R2 SP1 Cumulative Updates 1 to 5 and do not include 6, 7 and 8. 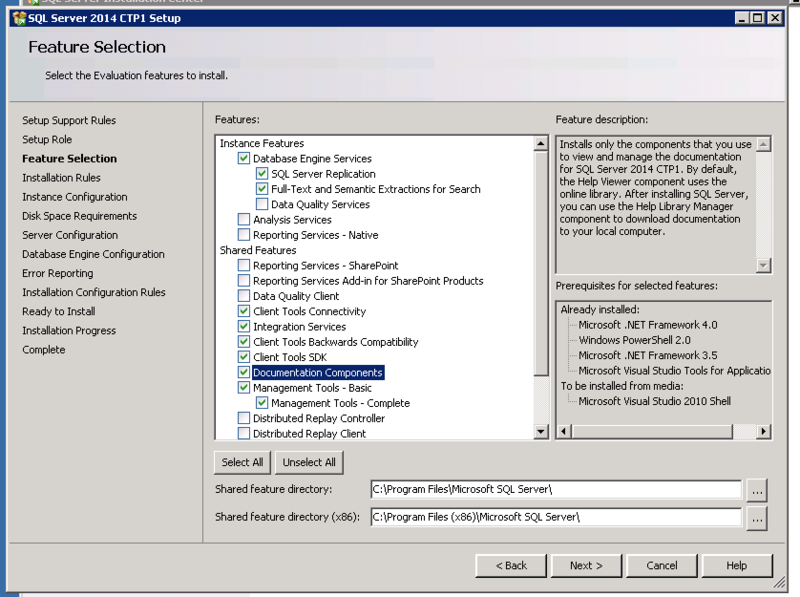 You would need to deploy SQLServer 2008 R2 SP2 CU1 to ensure that you have the correct pre-requisites for SCCM 2012 deployment. 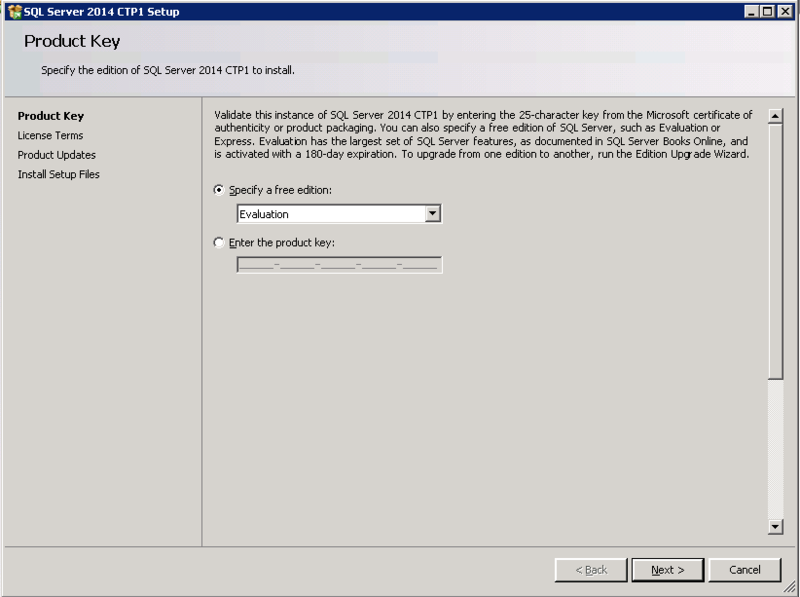 SQLServer 2008 R2 SP2 CU1 contains fixes released in SQL Server 2008 R2 SP1 CU 6 & 7. 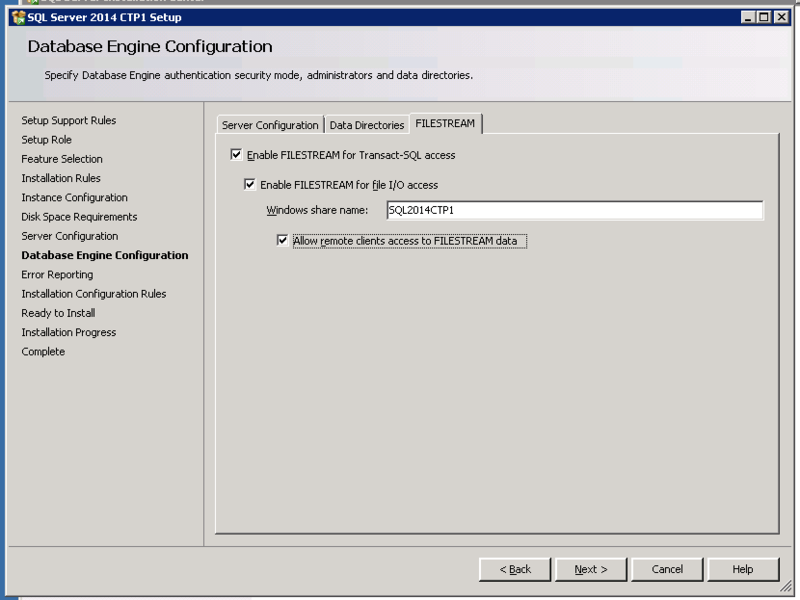 SQL Services Blog states about this and you can read this here. 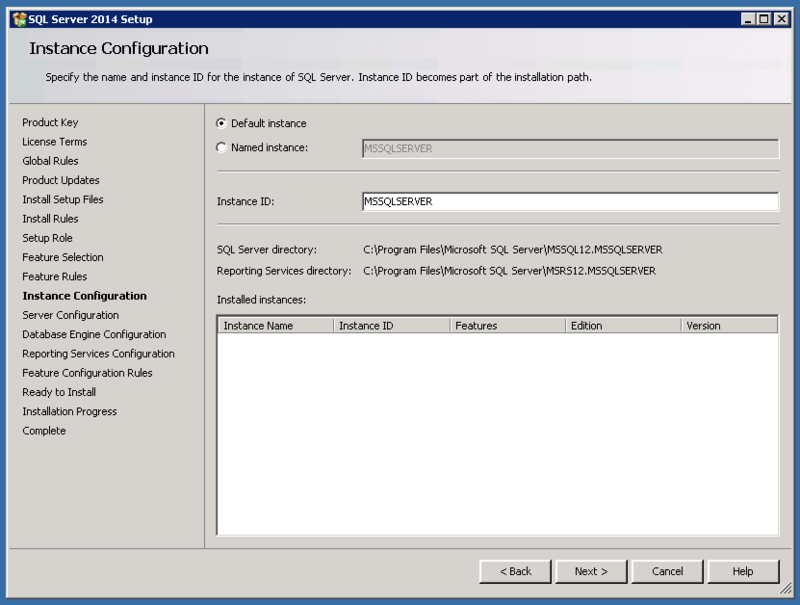 This patch level points are critical for your SCCM 2012 environment to work correctly.